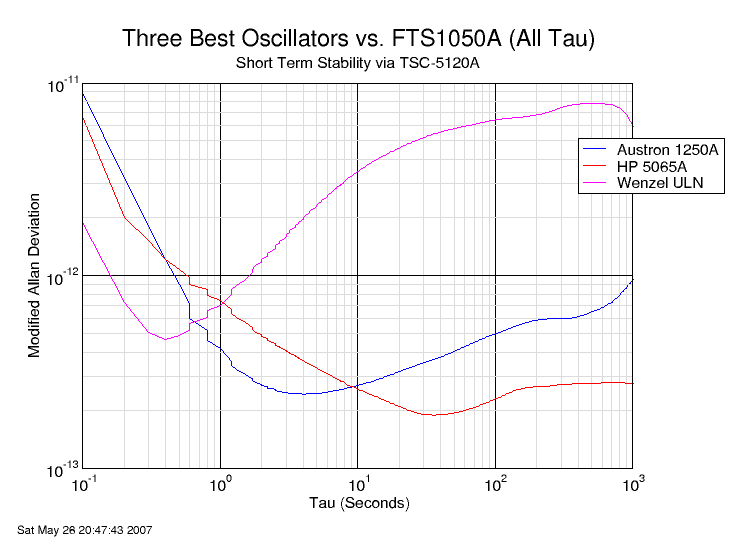 This is a comparison of several frequency standards against an FTS-1050A quartz crystal oscillator with very good short term stability. 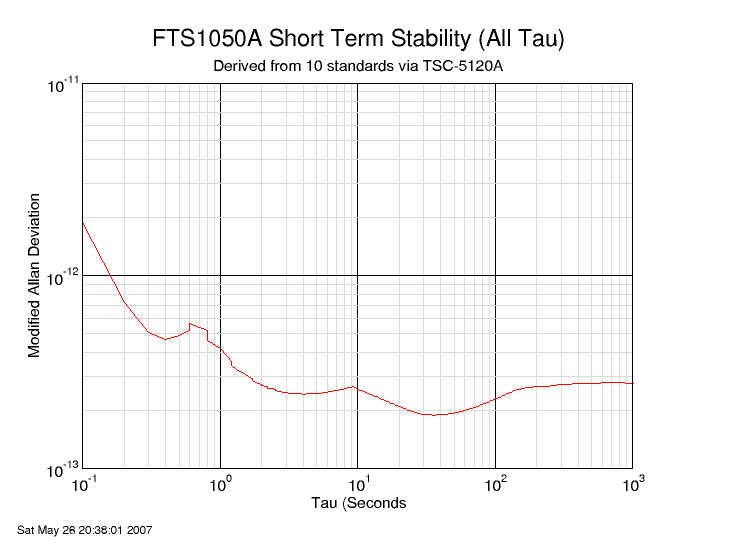 The goal is not only to compare the various standards, but by looking at the lowest reported MDEV for each tau, to learn the worst-case noise floor of the FTS-1050A. Each of these standards was measured for 2 hours against the FTS-1050A. 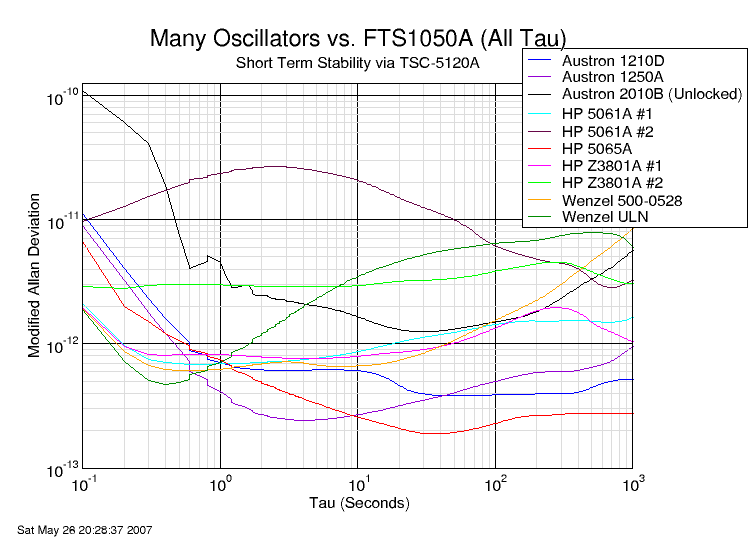 Then, I used Stable32 to compute the modified Allan Deviation across all taus (to speed things up, I actually used the "many tau" option). This generated readings out to about 2000 seconds, but because the number of data points out there was a bit thin, I limited the plot to a maximu tau of 1000 seconds.